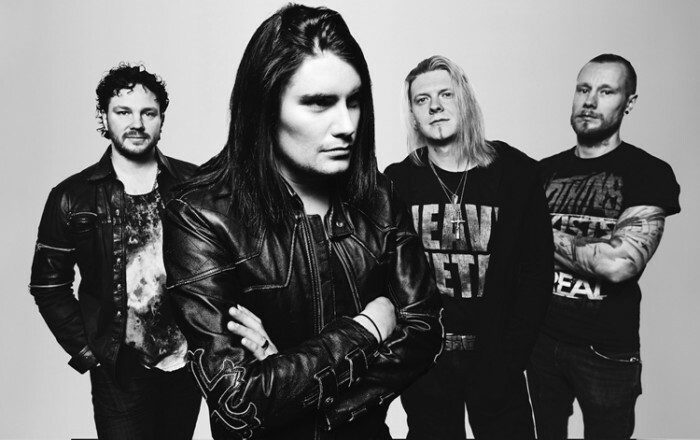 ONE DESIRE is a melodic rock band from Finland, formed in 2012 when drummer Ossi Sivula started gathering musicians and friends for his new project. A couple years of writing songs, making demos with different musicians and friends went by with an aim to create music that could change the world. Various musicians came and went along the way, but in 2014 they met Jimmy Westerlund. Jimmy has several platinum and gold albums to his credit as a producer, guitarist, and songwriter. Jimmy had just moved back to Finland after a stint in Los Angeles. The band hired him to produce some songs, and after recording three songs with a new musical direction, they managed to attract the attention of Serafino Perugino, owner and head of A&R at Frontiers Music. But, at this point, the band desperately needed a great singer. After trying out some different options, Jimmy suggested his longtime friend Andre Linman from the band STRUM UND DRANG. They were friends since way back and SuD had decided to go on hiatus the year before. Andre got together for a couple of sessions with the guys and after writing a couple new songs together, the style and sound that was about to become ONE DESIRE. Ossi and Andre asked Jimmy to join the band in 2016 and this is the album that was born from that collaboration. Also, not long after this happened, the very talented Jonas Kuhlberg (Paul Di´Anno, Cain´s Offering, MyGrain) was brought on and he became the last link in the chain. After Jimmy brought in the song “Hurt”, the band felt that they had taken it to the next level. Andre wrote the beautiful ballad, “This Is Where The Heartbreak Begins” and at that time, ONE DESIRE started to find the right direction for Ossis' rocker, “Do You Believe”. Finally, in mid-2016, the band felt they finally were musically locked in and had the material to make an album that they could honestly stand behind and love beyond a doubt. 2017 will be a fantastic year as the journey of ONE DESIRE just begins! Today's tune "Hurt" taken from the self titled debut album, enjoy! Listen to ”One Desire - Hurt" on Spotify!